Happy hour with friends. 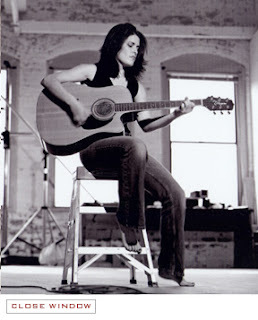 Stephanie Schneiderman performing. At the same time. I know - stop! I am getting overwhelmed. It's not often cheap food, good company and good entertainment come together to make beautiful music. Wow that was cheesy. Food was good. The menu said that their curly fries were the best in Portland. But I'm pretty sure that they're the same curly fries that I cooked when I worked in the grill on my college campus. They were good, just not outstanding. Pizza was good. Lemonade was a little bitter and not quite sweet enough. Stephanie Schneiderman was great. She plays happy hour at Jimmy Mak's on the 1st and 3rd Wednesdays of every month. You should check out her music. Jimmy Mak's seems like a good place to be on the weekends. I'll have to go back to try dinner.